All products have an effect on the environment. Always use the correct portion for maximum efficiency and minimum environmental impact. The is detergent is so terrible and annoying to use!! I see that all of the reviews here are several years old. And I used to use this detergent with better results in the past. I switched to Eco brand and had been quite happy. 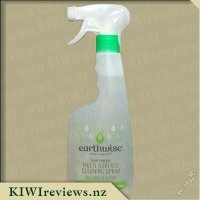 But someone mentioned that Earthwise was better so I bought a 1 kg box. What a mistake! It cleans well enough, nothing spectacular but no complaints on that score. However, the detergent clumps up in the soap tray of my washing machine (which does not happen with any other brand!) so I am always wasting it, and it&apos;s a nuisance to have to clean out each time. No matter what I have tried - mixing it around in the tray, using less, etc - seems to solve this issue. The packaging is terrible - two plastic bags inside a large box, neither the outer box or inner plastic bags are resealable. No measuring spoon with the product - I have been using the ones left over from my Eco brand boxes. And both the inner plastic and outer cardboard boxes leak soap everywhere!! I contacted Earthwise to complain. They did get back to me with apologies and suggested I use their liquid soap. Well, I have their liquid and I do use it, but that one is for delicates, I need a granular, more hard working detergent for my regular laundry. So they offered to refund my purchase amount. I thought that was a good resolution and I sent them my bank account details. But that was two months ago but no refund to date in my bank account! 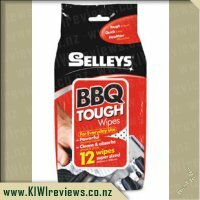 I am still using this product as I have a half box left and don&apos;t want to waste it. But I get angry every wash day and I will never buy this product again. I enjoy the earth wise products and love washing powder I feel it does more for my washing than any other washing product that I have tried. When I received it the box seems normal for washing powder and it opens the start with a tear strip to pull around the box. What I found with this box was no powder came out as I opened it, like other boxes do I open them all over my opened washing machine for this reason. Inside I found a plastic bag, lucky I keep scissors in the wash house anyway to open items. Opening it up gave a lovely scent and I couldn&apos;t wait to try it. The downside of it is there is no measurement object in the box, and the directions at the back gives the measures in spoons, so I went looking for a spoon to use. It only needs a small amount in the machine with a full load of washing. 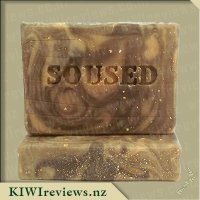 I had a few items in that had marks on them with a pre soak and they came out almost clean. I will still do a presoak with my clothes for the fact of I like it that way. The price is on the high side and I don&apos;t think it will be on my shopping list all the time but if and when it comes down in price I will consider it. The clothes smelt clean, but didn&apos;t have the scent I could smell when I opened the box. I guess using spoons instead of a scoop it will last longer than another type of box with a scoop. 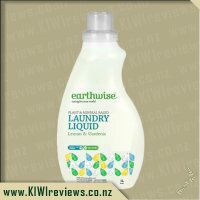 I have been firmly in love with Earthwise products for a long time now and have probably just about tried out the entire range with their being nothing I didn&apos;t love. 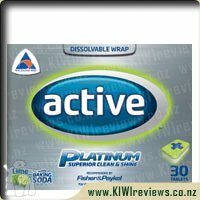 Although I have been using laundry liquid for a while now or more recently laundry liquid pods I was happy enough to try out this washing powder. The great thing about washing powder is it seems to last a lot longer than the liquid varities and this box is a decent size so will last me a while. The Earthwise laundry powders do not come with a scoop which is a bit different. Instead you measure the powder out with a tablespoon so I now have a tablespoon which I keep just for the laundry. This didn&apos;t bother me at all and I think it is a nice little touch cutting down on plastic&apos;s in a bid to be kinder to the environment. Using a tablespoon is simple enough and everyone would have a tablespoon at home they can use. Being a busy working mum I like to be able to chuck my washing on at night so I can quickly hang it out before I leave in the morning so will often chuck things in and cross my fingers that washing powder alone will get the marks out. This is not always the case but I was well impressed that the Earthwise laundry powder got paint out of a tshirt that my son had worn to kindy that day. I didn&apos;t need to get out the Earthwise Stain Remover spray or do any soaking so this was great. The Lemon and Gardenia scent isn&apos;t overly strong but it is a pleasant smell which I am happy for my washing to smell like. I like to use Earthwise Aloe Vera and Papaya fabric softener so the laundry comes out with more of a fragrance so used this two products together this week for my washing. Happy to say all my washing was clean and smelling great. So I could definitely stick to this combo!! Although I do love the laundry liquid range I could get used to using powder. The great thing with this powder is you do not get left with any powder residue on the clothing it all seems to dissolve well, so no residue remains on the clothing, which was one of the reasons I had stopped using powders in the past. Even better you can use it in front and top loaders so no accidentally buying the wrong one and getting home to find out you have bought a powder you can not use in your machine. Both myself and my daughter tend to react to washing powders and we only use ones designed for sensitive skin or the more natural powders and I was pleased to find out that this powder has given us no skin reactions. I was a bit worried about there being too much of a floral scent with this powder, but I find it gives absolutely no scent to our clothes, which I treat as a good thing. Having not used Earthwise before, the first thing I noticed was that there was an extra plastic bag inside the box which I could not get open with my fingers or teeth (i did try!) so I had to go and search for some scissors to open it. Despite the small inconvenience it&apos;s good to know that it means the powder won&apos;t soak up moisture if the box were to get wet. Then I noticed that there was no scoop, but having plenty of other scoops lying around, I decided to take the time to get a tablespoon and mark on a spare scoop where the recommended 1 and a 1/2 tablespoons came to. I&apos;m glad I did this as I had no idea that it was well under half the amount of powder that fits scoops from other brands. This powder really will go a long way. And of course the ultimate test - does it work? I put a test piece through the machine (pictured) with fresh spills of pepsi, coffee, sauce (rubbed in) and berry jam. 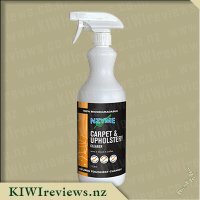 I purposely didn&apos;t want to wait too long for the stains to set, as then in fairness I&apos;d be using my Earthwise Fabric Stain Remover anyway, and I wanted to test the powder on it&apos;s own. 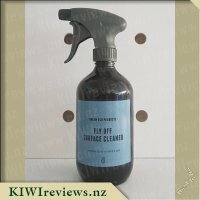 I&apos;m pleased to report that every stain was completely removed in my standard wash - this is enough to convert me, and I&apos;ll be definitely buying this powder regularly from now on. 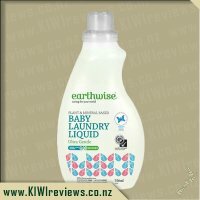 I love Earthwise products, though a few years back I was converted to Earthwise laundry liquid because I am a nightmare with powder. Still, I thought why not re-visit powder and see how Earthwise powder is different. The packaging was the main area of difference. The powder comes in a standard sized laundry powder box. But when I opened the box, the powder inside was in a plastic bag. Now, at first I was a bit confused by this and I did need scissors to open the packet inside the box. However, I liked it because with other boxes of laundry powder in the past I have opened it and immediately lost a whole bunch of the powder out the side all over my dryer and down the side of the washing machine too. So this was a lot less messy! I have been using it for a week and a half now. I like that it&apos;s easy to use, easy to measure or not. A little goes a long way and I have so much left in the box despite the masses of washing I have been doing. Having a tummy bug go through at one point was a real good test. The smell of the powder was really nice. I love that lemon freshness and the gardenia was not overly floral but smelt of spring. The clothes, towels and socks all smell clean after use which is even better. Quite simply put, this is a laundry powder, and it will successfully clean your clothes. This product comes in a simple, and clean packaging, and the powder is even stored in a plastic bag inside the box. No spills! Having a no spill laundry powder is definitely a positive. It doesn&apos;t come with a scoop, but I just reuse the scoop from the previous box, so no biggie (and if you don&apos;t have a spare scoop, then its still irrelevant, because the directions use spoons as a measurement anyway. The product states that it has 2x concentration, so you can use half as much to get the same results as other laundry powders, and largely it does do that job. I am unsure whether my olfactory senses are faulty or whether it is the product, but I generally don&apos;t notice much in the have of a smell from these earthwise products. I notice a hint of lemon from the powder itself, but the clean clothes that I remove from the laundry, don&apos;t seem to hold any sort of smell (which is still good, mind you). 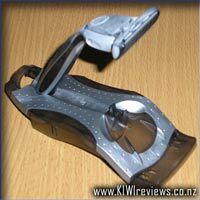 The price itself is a bit on the high side, and I don&apos;t really know whether I would purchase it at full retail price. 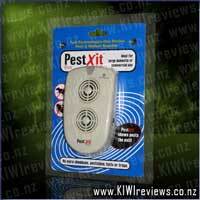 But if you keep an eye out, the product is sometimes on special at the supermarkets for a very competitive price. I love Earthwise products and was excited to review this Lemon and Gardenia laundry powder! I love the eye catching and environmentally friendly packaging. I wasn&apos;t sure how Lemon and Gardenia would smell but the scent is gentle, divine and perfect for Laundry. In a household of up to seven, if both sets of children are home, I can do anywhere between 3-7 loads of washing per day! The 2x concentrate is perfect for bigger families, I was only required to use a small amount and have done about 10 loads using the Earthwise Lemon and Gardenia powder and there is still a large amount left that will last some time making this a great choice for us! I loved the smell getting the washed clothes from the washing machine and love that it lingers after the clothing has been dried. Clothes are washed well, fresh and clean.There is no scoop provided and instructions are to measure the laundry powder using a teaspoon, less plastic for the environment! 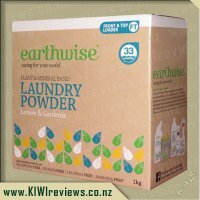 The price does make me a bit hesitant at first but after seeing how many washes you get from just one box it makes the Earthwise laundry powder a more economical choice for my family and it will be added to the shopping list! 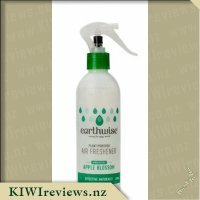 This Earthwise plant based air freshener offers a refreshing nature-inspired fragrance burst. 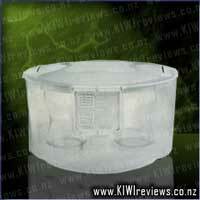 It is ideal for bathrooms, kitchens and other indoor living areas where a pleasant scent is desired. Bring the springtime aroma of apple blossom right into your own home. 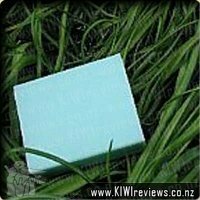 Contains biodegradable surfactants - a gentler choice for you and the environment. The container is 100% recyclable.